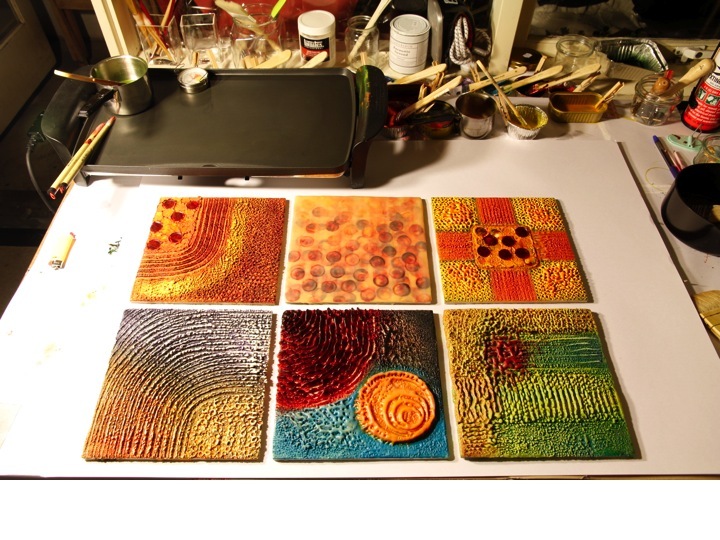 Often referred to as hot wax painting, encaustic painting is one of the oldest art forms. 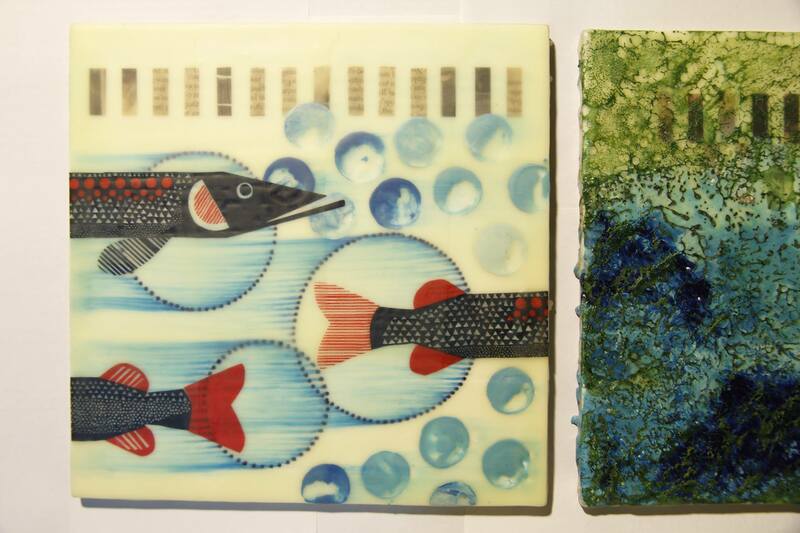 Derived from the word ‘Enkaustikos’, meaning ‘to burn in’, encaustic painting originated some three thousand years ago when ancient Greek ship builders would use a combination of wax and resin to seal and waterproof their hulls. 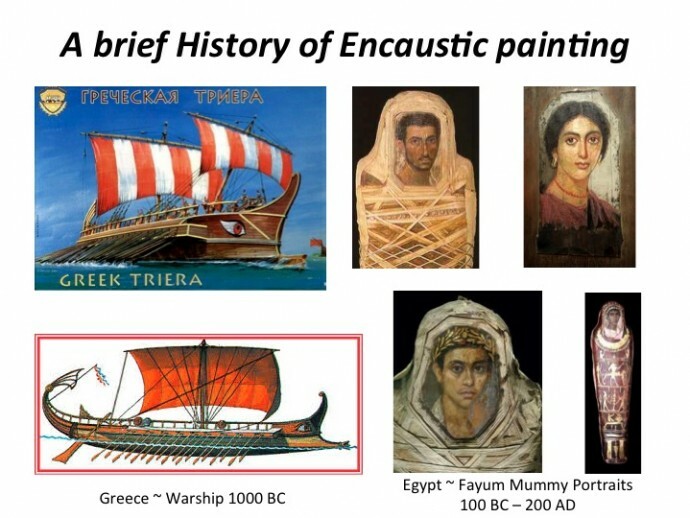 They later begun decorating ships by adding pigments to the medium (see image on slide) – a new art form was born (Margell 2014). The encaustic technique was also used in Greco-Roman Egypt where head and shoulder wax portraits were set into mummy castings (Mattera 2001), these are the oldest surviving encaustic works (see image on slide). After the decline of the Roman Empire encaustic painting was largely replaced by tempera which was easier to work with and more economical. 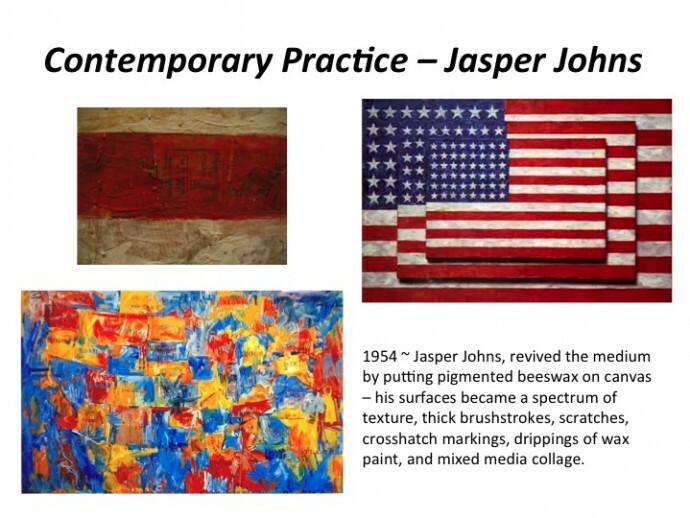 Although some encaustic painting practice continued it virtually became a lost art until 1954 when contemporary practice of Jasper Johns revived the medium by putting pigmented beeswax on canvas – his surfaces became a spectrum of texture, thick brushstrokes, scratches, crosshatch markings, drippings of wax paint, and mixed media collage (Mattera 2001, Margell 2014). 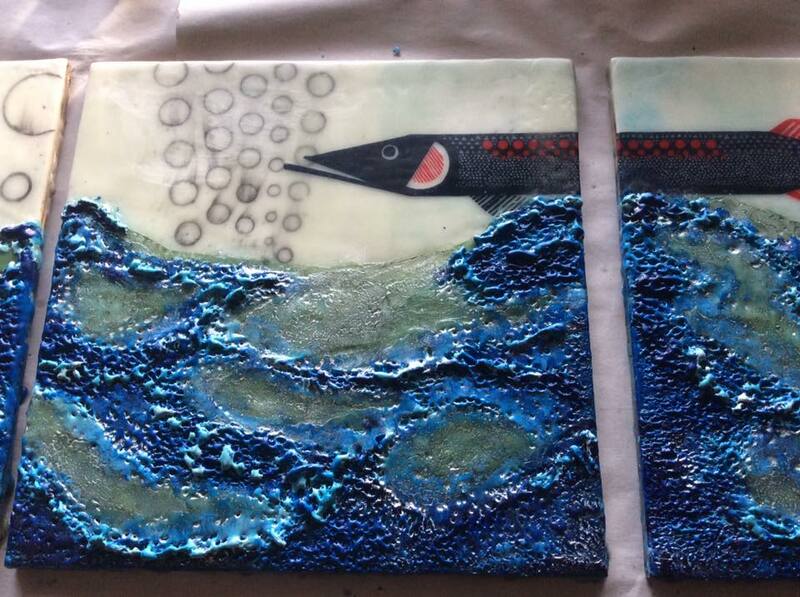 Nonetheless, till this day, encaustic art remains an enigmatic, relatively unknown and under-appreciated art form. 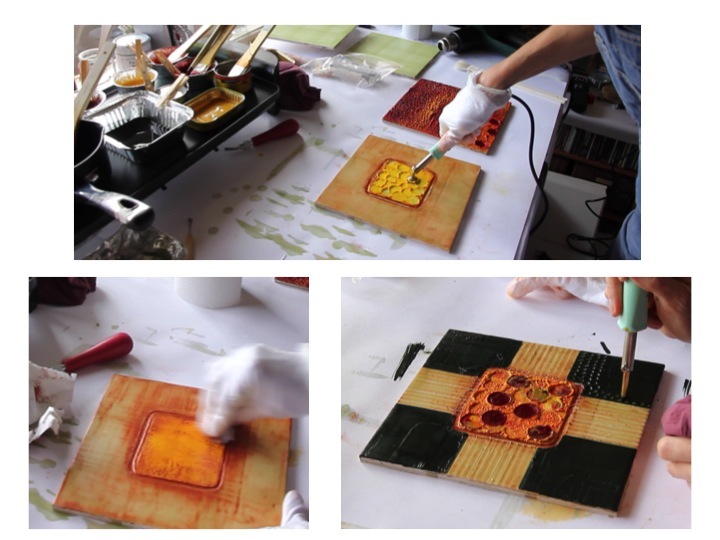 The ancient art of encaustic painting begins as beeswax is combined with pigments and resin of Indonesian Fir trees. 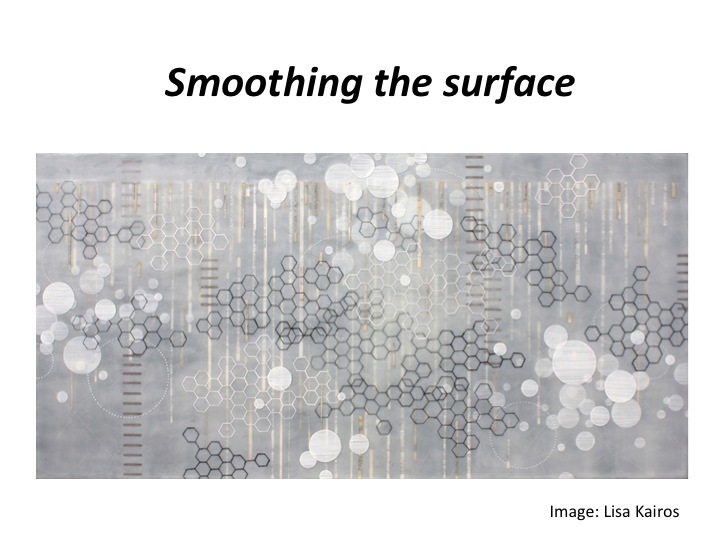 The process produces an ethereal, luminescent surface – creating images with distinct qualities of depth as light passes through the fused layers of pigmented wax and is reflected back at the viewer (Morton 2015). 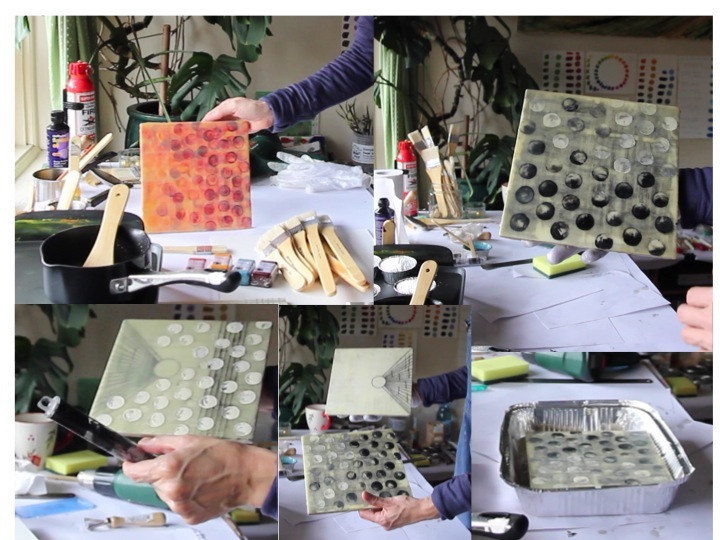 Encaustic painting uses heated beeswax (although other waxes such as candellila, carnauba, microcrystalline and paraffin can be added/used) and dammar resin (crystalised tree sap) mixed with coloured pigments applied in the form of paste or liquid to a prepared surface – typically wood. 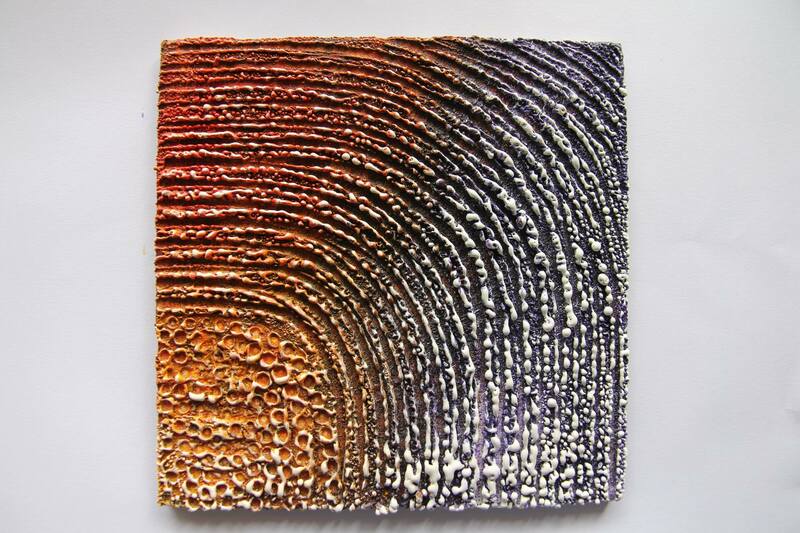 Pigments used for encaustics range from pure, powdered, cakes, sticks and blocks of ready made pigmented wax (most popular) to oils sticks, oil paints and oil pastels. 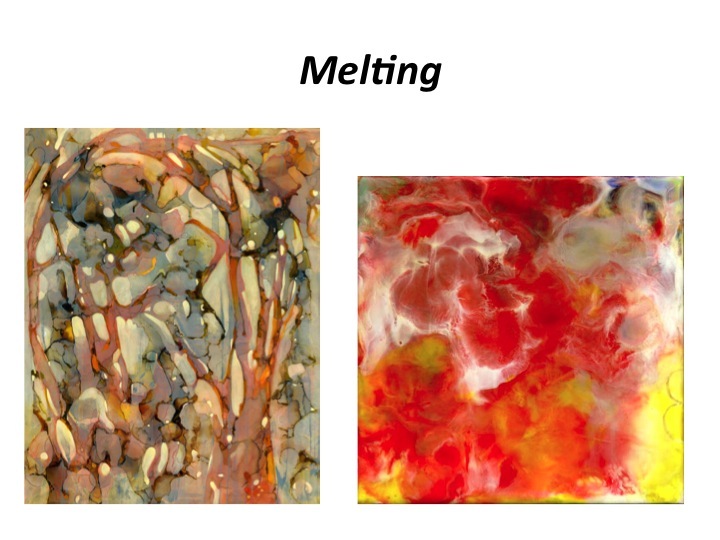 Heat is used throughout the process from melting the beeswax and glazing to fusing the many layers together – propane torches, heat guns, irons and incandescent light bulbs are all used to maintain the surface malleable or during the fusing process. 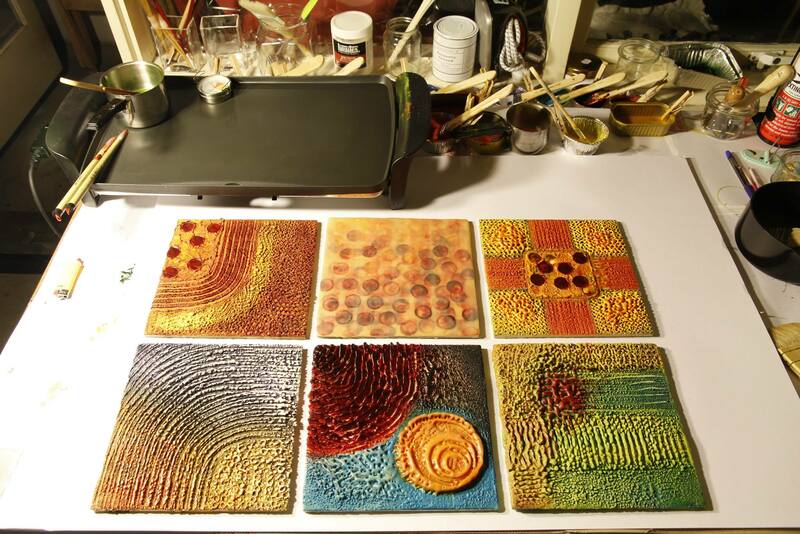 Hotplates, crockpots, electric griddles are used for melting the wax and keeping it in liquid form ready for application. 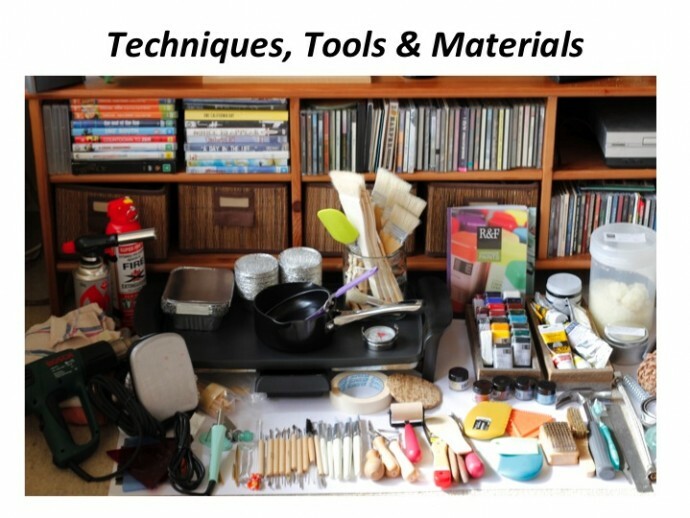 Natural bristle brushes (hog, hake, weasel, ox, goat) that withstand heat are the primary painting tool but all sorts of metal, carving tools, blades, scrapers, pellete knives and spatulas can be used to manipulate the wax once it is applied to the surface. Hot wax pen with changeable nibs can be used to make fine lines and add various effects to the artworks. 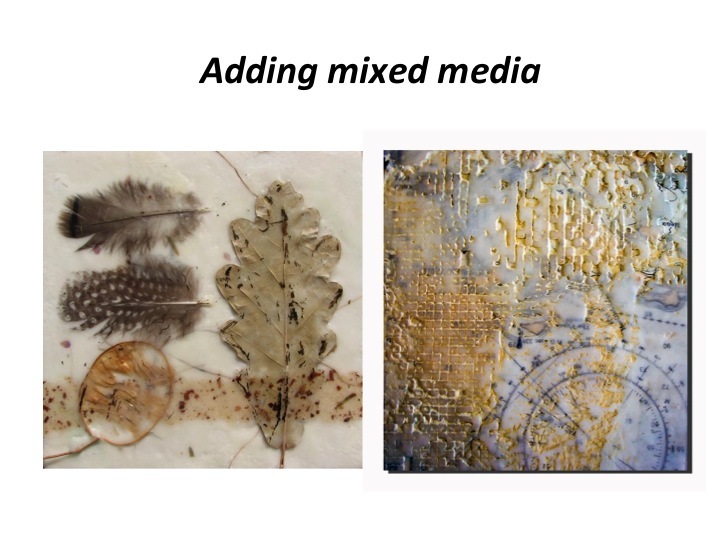 Other materials such as paper, wood, leaves, metal, sand, fabrics (imagination is your oyster) can be inlayed or collaged into the surface (Mattera 2001, Woolf 2012, Margell 2014). Materials I have been collecting…some I already had at home, some I purchased specifically for the project, others I found outside on my walks and wanders. Fun, fun fun. I even went on a ‘leaf hunt’ to contribute to this collection. Unfortunately, this time around I didn’t end up experimenting with leaves at all; I’m am sure their time will come in due course. I plan to frame all my works in these simple float frames from Ikea. I have not had a chance to do this as yet, because I have found myself confronted by a slight mounting problem (difficult to describe in words), which I am yet to solve. I do intend to auction these artworks in a SWiRL Fundraiser Exhibition at the start of August, framed and ready to hang on the wall. 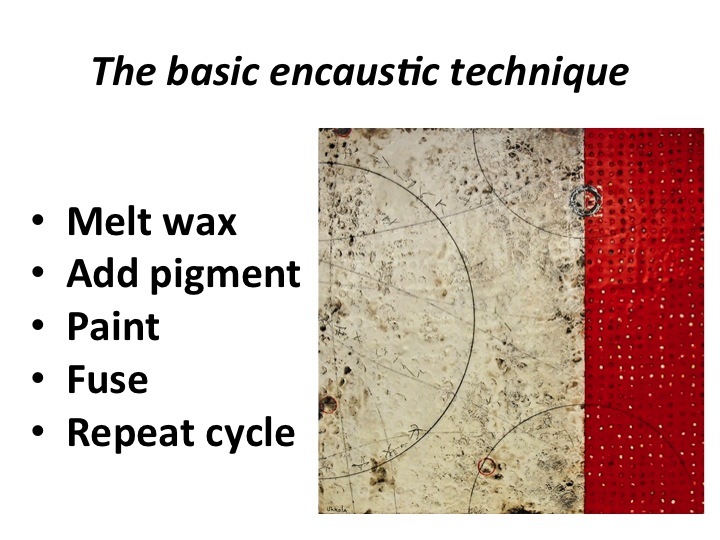 The basic encaustic technique combines a straightforward formula: melt wax, add pigment, paint, fuse (Mattera 2001). 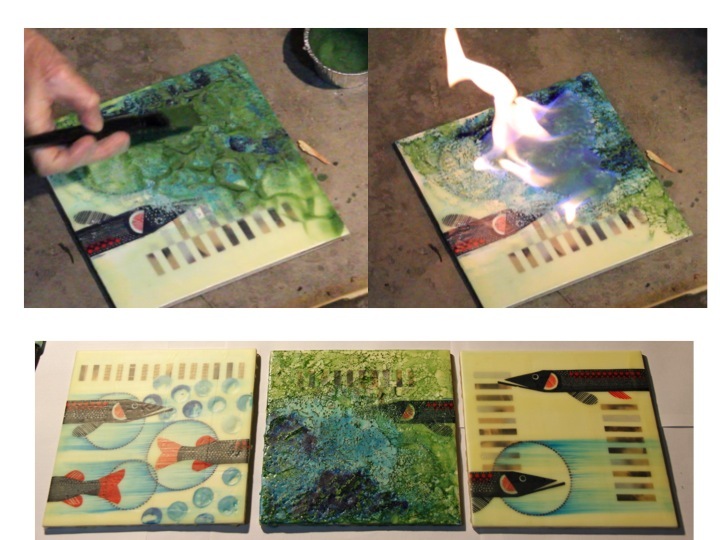 From my research to date, I have gathered that as soon as the molten wax leaves the heat surface it begins to harden and set – it means working quickly. 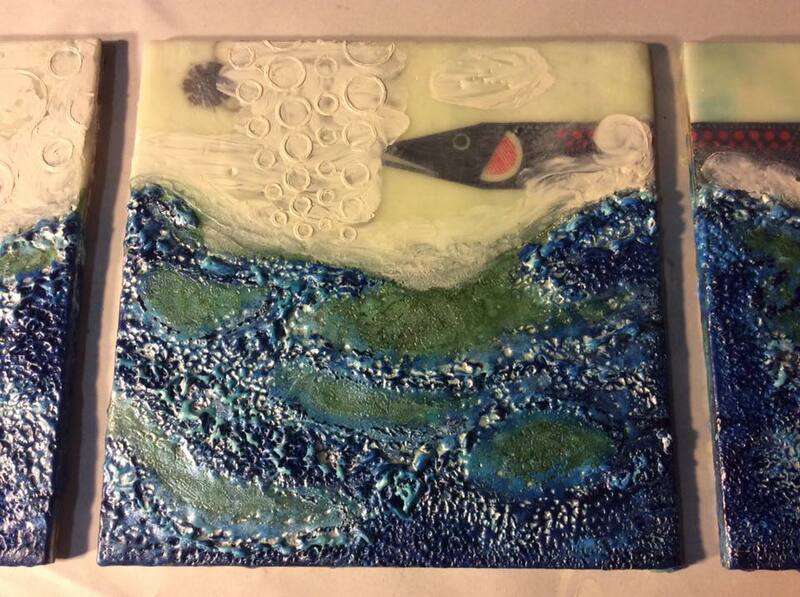 Despite this, encaustic is extremely forgiving, as you can just scrape and start over if you do not like what you have just put down. 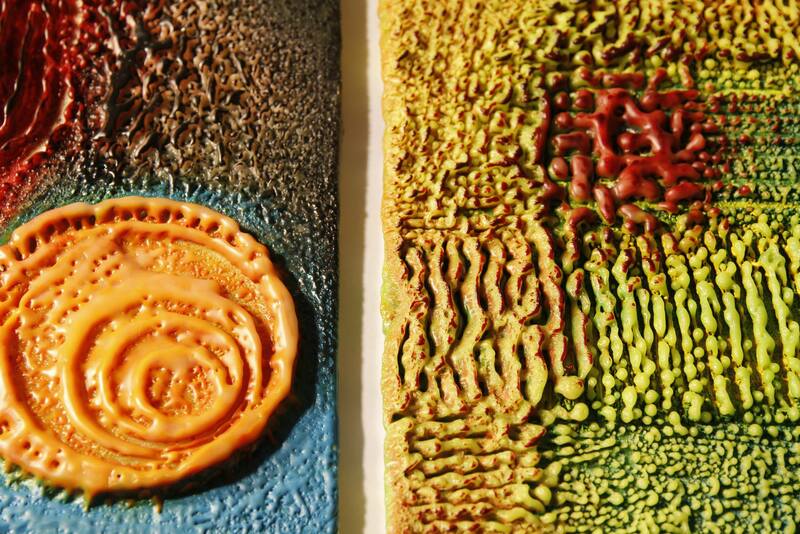 Scraped wax can be recycled – reheated and reapplied. 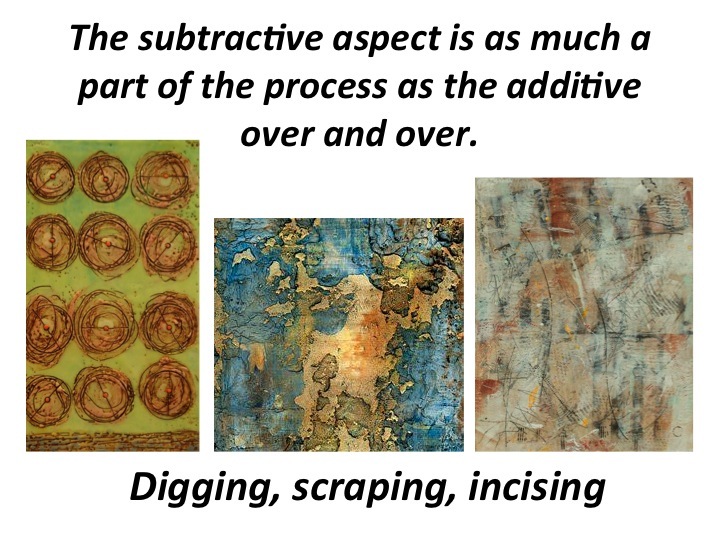 According to many artists the subtractive aspect is as much a part of the process as the additive – digging, scraping, incising and painting over and over. 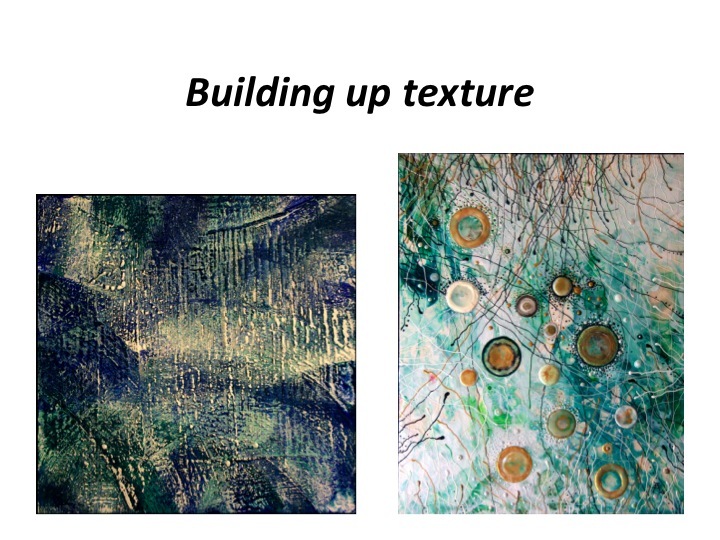 Building up texture, smoothing the surface, melting, adding mixed media. The options are endless. 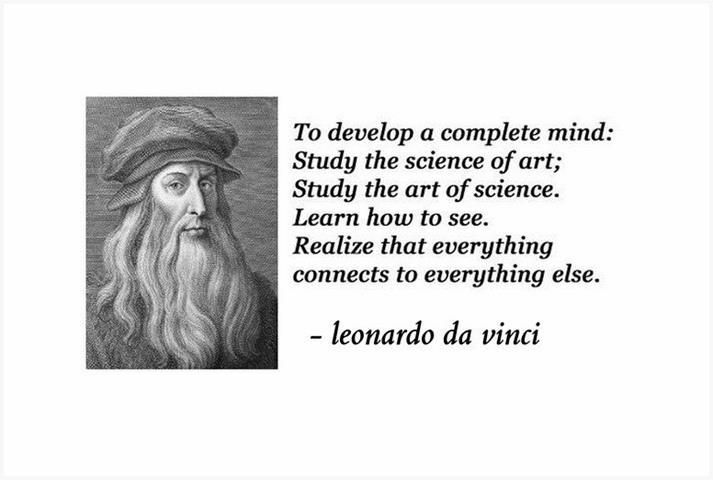 This means that an artist is constantly on a creative journey of discovery – in flux. I find these characteristics raw, impromptu and spontaneous, explorative and incredibly imaginative. 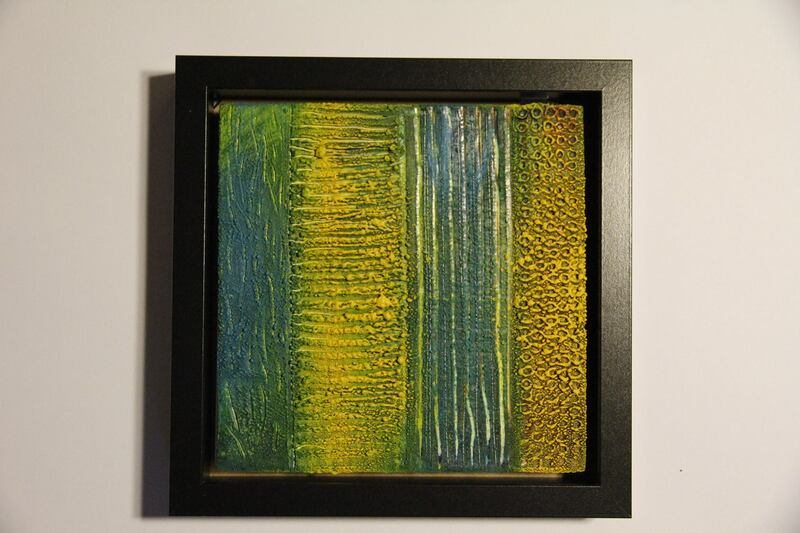 These aspects, alongside its mysterious qualities draw me to the encaustic medium. I cannot wait to get started. 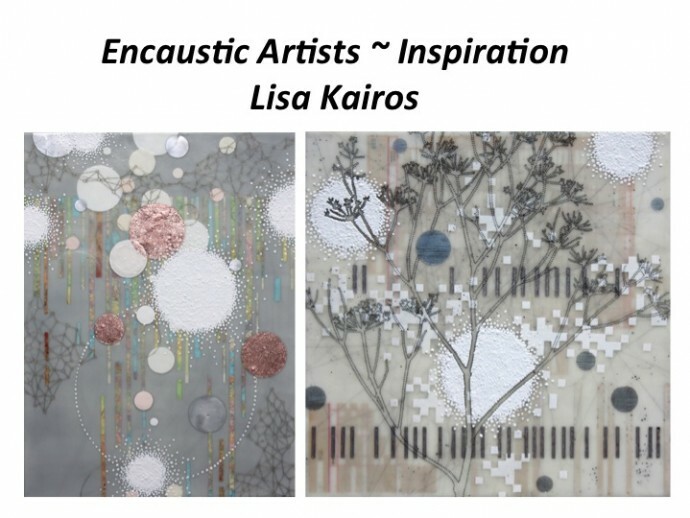 Lisa Kairos creates luminous, three-dimensional, rich but subtle paintings, defined by a sense of floating space. 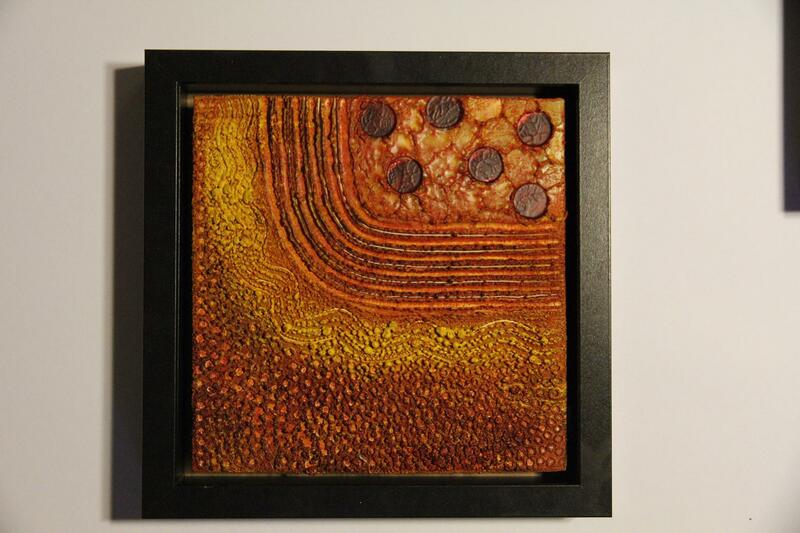 Complex themes of geometric and organic landscapes are evident in her works. 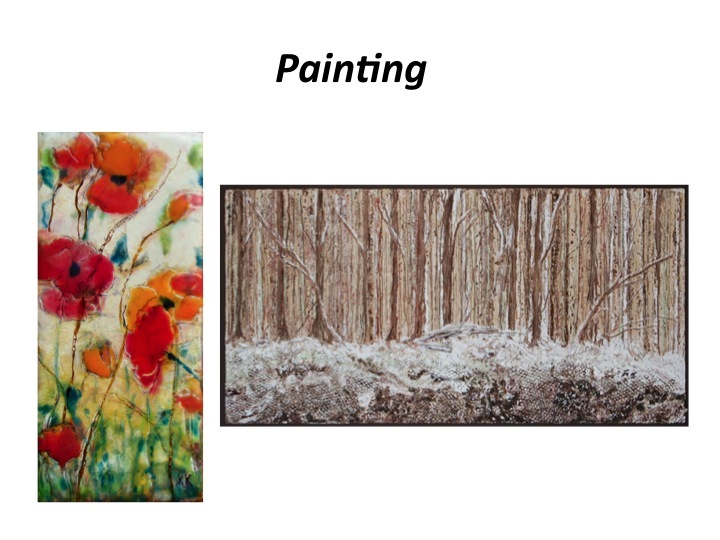 ‘Her paintings challenge traditional ideas about time and place, and re-negotiate the concept of landscape to accommodate a broad definition that comprises multiple moments, multiple views, and abstracted perceptions. 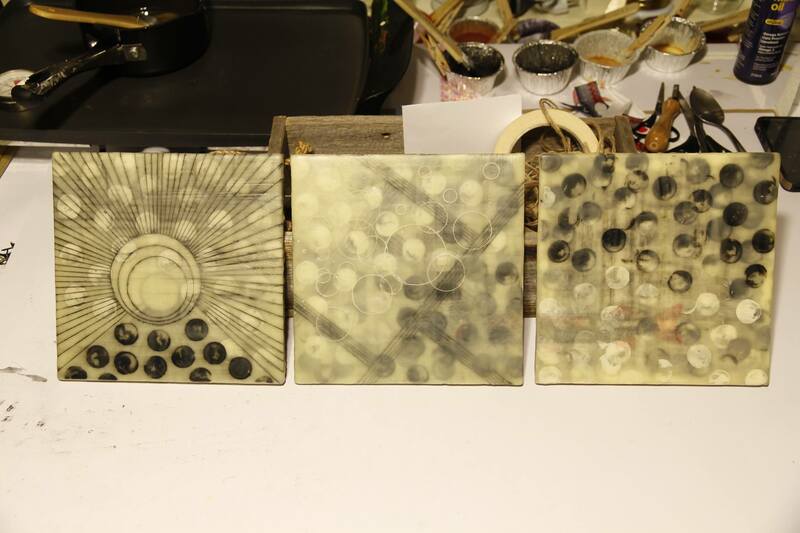 Her working methods are simple, yet meticulous, and utilise mediums that allow for transparency and layering to communicate spacial and temporal ideas’ (Kairos 2014). 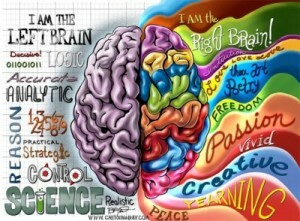 I find the results breathtakingly beautiful. 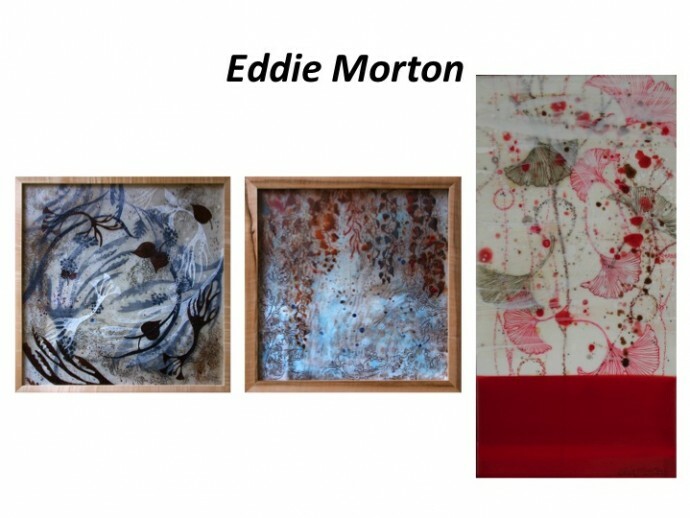 Eddie’s ‘creative process is influenced by Asian and Native American cultures, with a reverence for the natural world’. 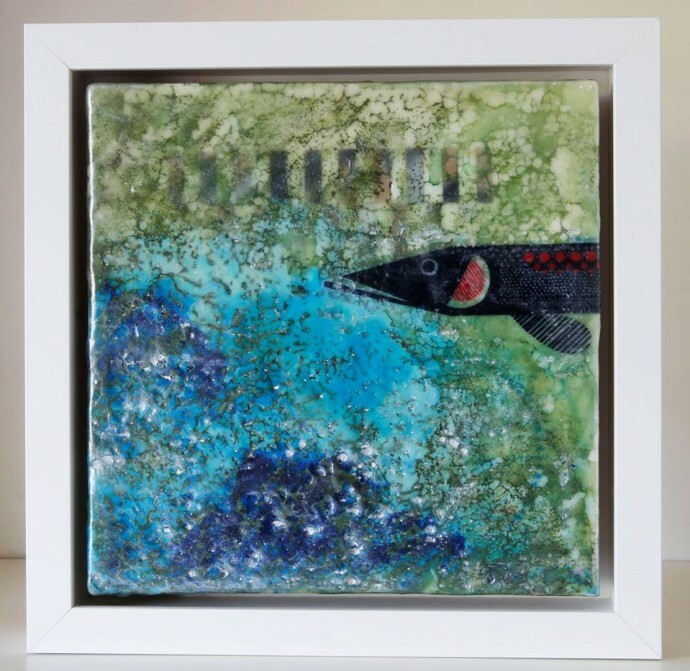 His life-long inspiration has been a close relationship with ‘Elkmont’ – a village surrounded by the Great Smoky Mountains. 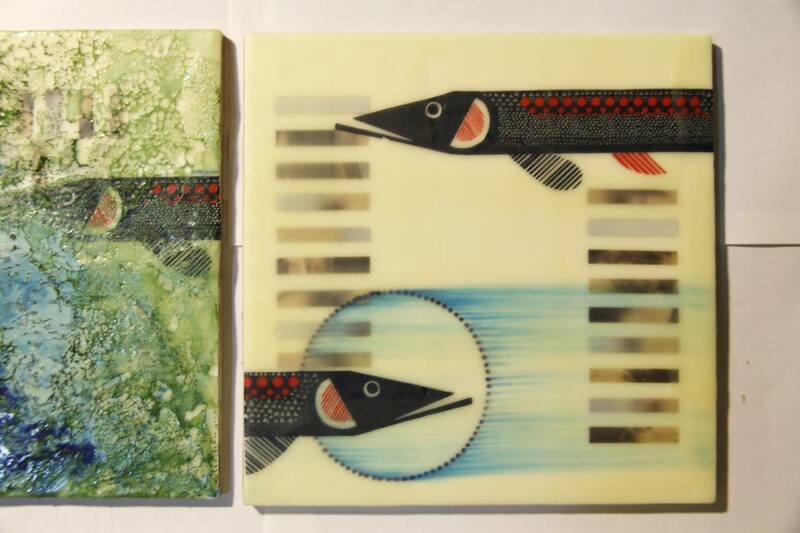 He uses patterns and shapes of wings, leaves, bark, seedpods and nests in his works. 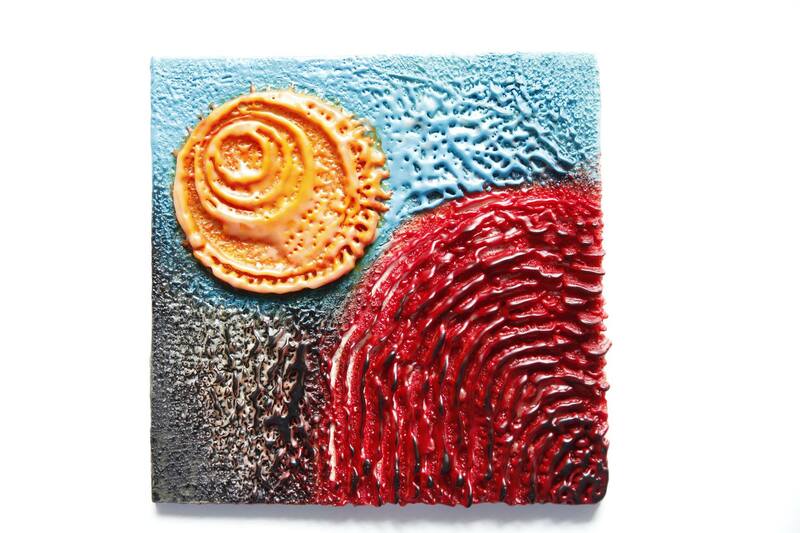 ‘These textural, weathered, sacred objects inspire my palettes, mark-making and abstract forms’, he says. 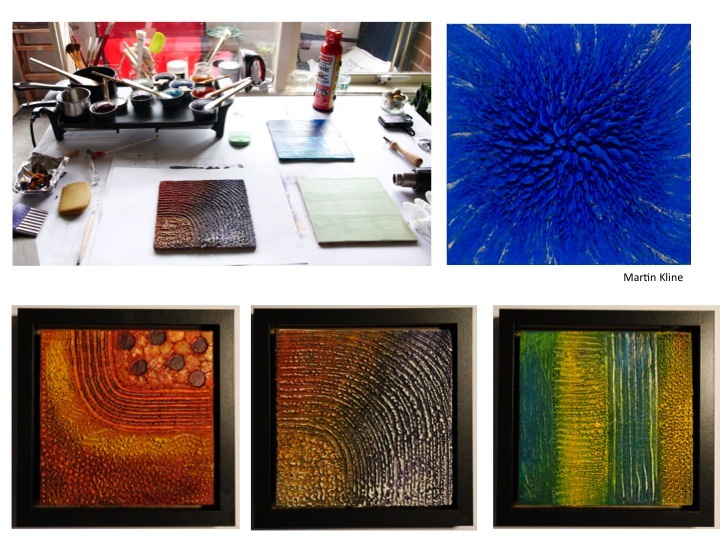 His artworks exhibit light, sensual, translucent and meditative qualities which create optical depth (Morton 2015). I find these artworks fascinating. I wonder about the techniques he used to create so much depth, clarity, transparency and detail. How long did they take to make? 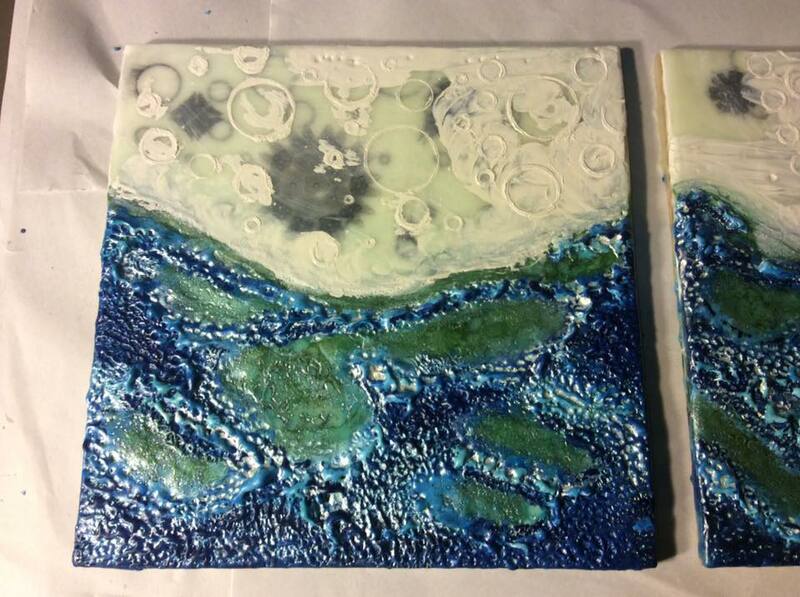 The one on the left makes me feel like I am looking into a crystal clear rock pool. 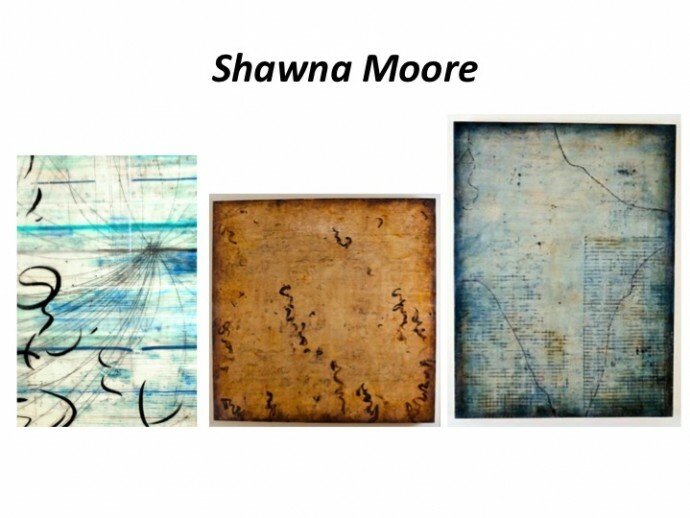 Shawna Moore is an encaustic painter and teacher who lives her life through art and yoga. 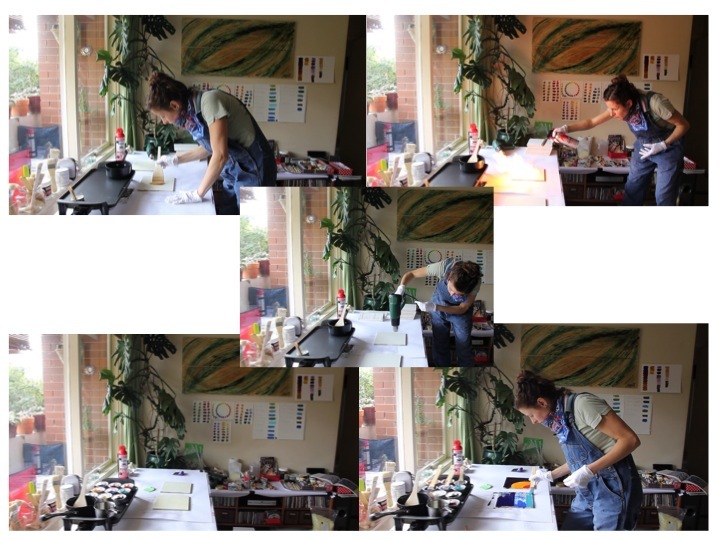 She is motivated by finding new ways of looking at the processes of her creative practice. 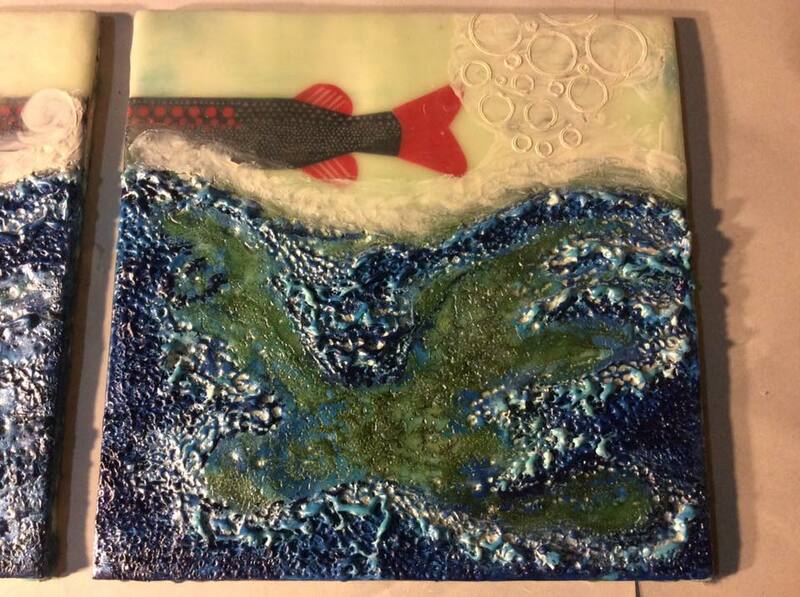 She has a strong technical understanding and stretches the exploration of encaustic materials. 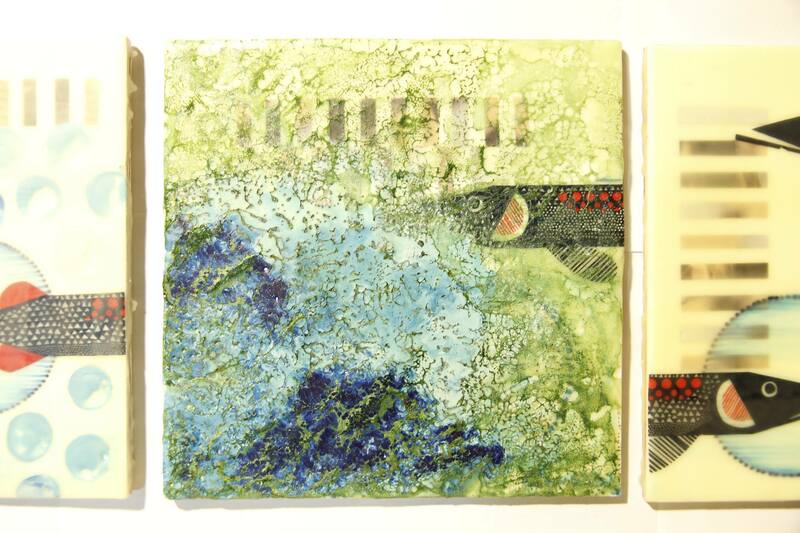 She creates large encaustic paintings that evoke memories of old maps, love letters or weathered fresco (Moore 2014). When I was I child, my father used to keep bees. We would put honey on everything. 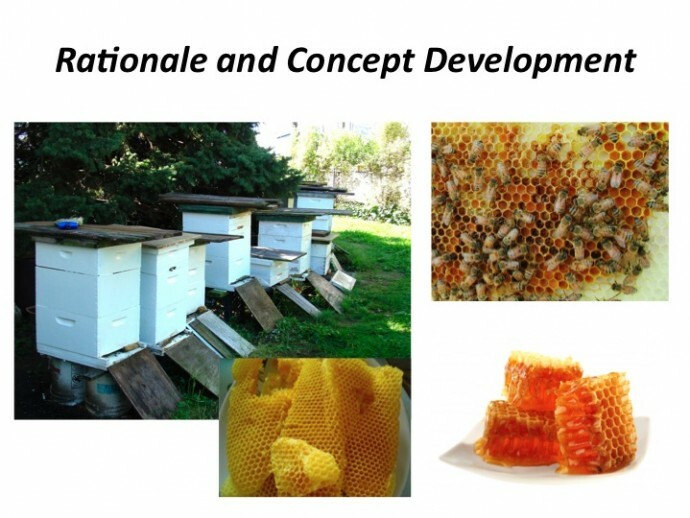 My mother always said – honey is a remedy for all ailments, I believed her, and till this day follow suit. I remember helping dad, veiled in a strange beekeepers fencing-type hat, covered from head to toe. I loved helping dad tend to the bees, I loved turning the handle of the honey extractor watching it flow out like liquid gold, I loved sucking honey from fresh honeycomb. 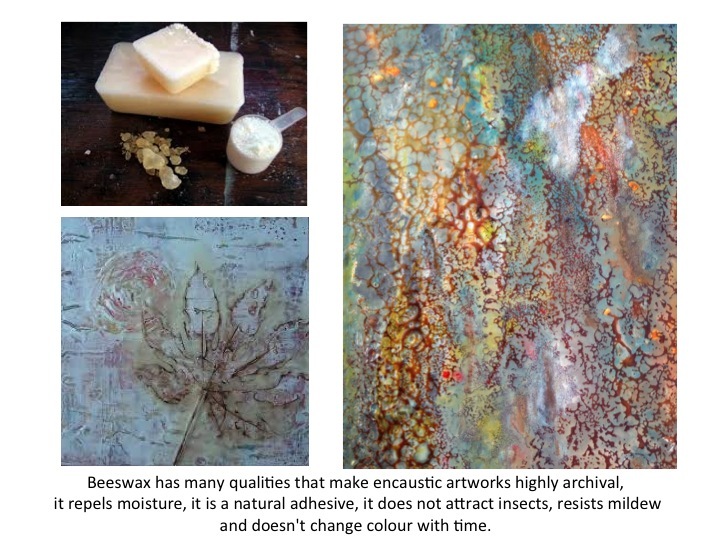 Strangely, I never paid much attention to beeswax – years later, here I am, fascinated by wax, by both the art and science of it. 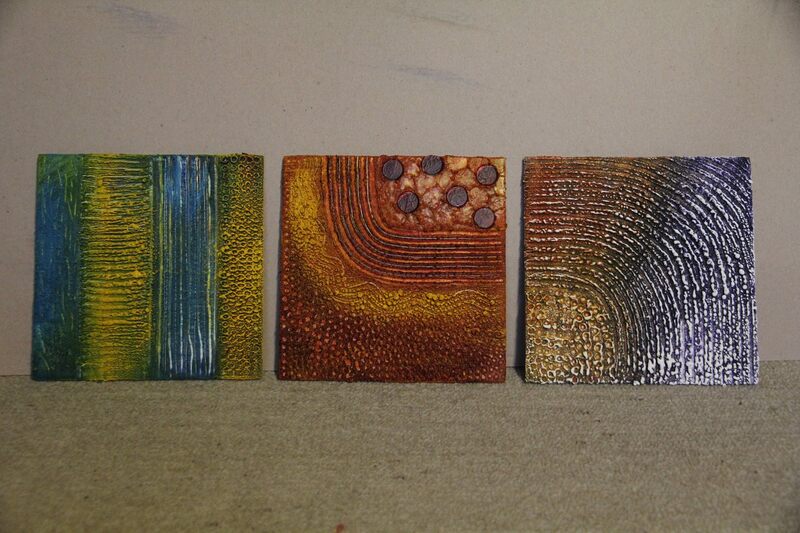 I originally intended to make leaf prints. 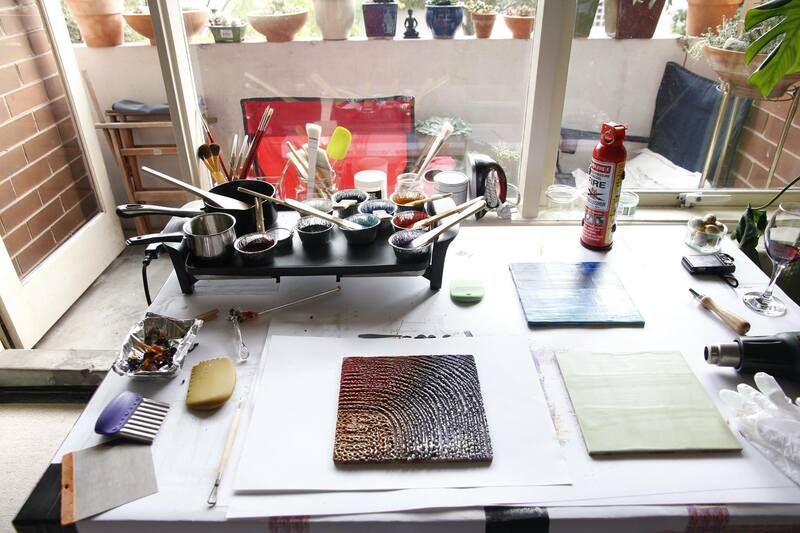 This is because I have tried the printmaking process before and I loved it. 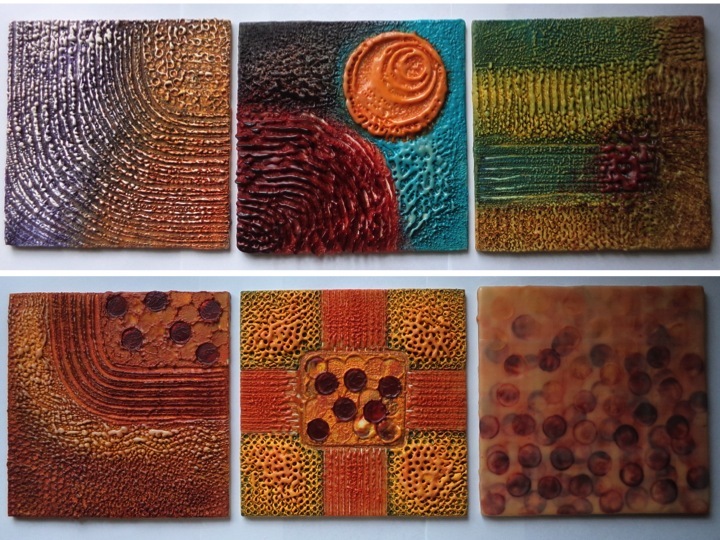 Also because as an artist I have always looked for inspiration in nature – it seems its use of colour, line, shape, form and texture is inexhaustible – its mystery, magic and beauty invoke in me the deepest of emotions. With autumn well and truly at the doorstep, the world of leaves transforms landscapes into a kaleidoscope of colours as nature prepares for winter rest. 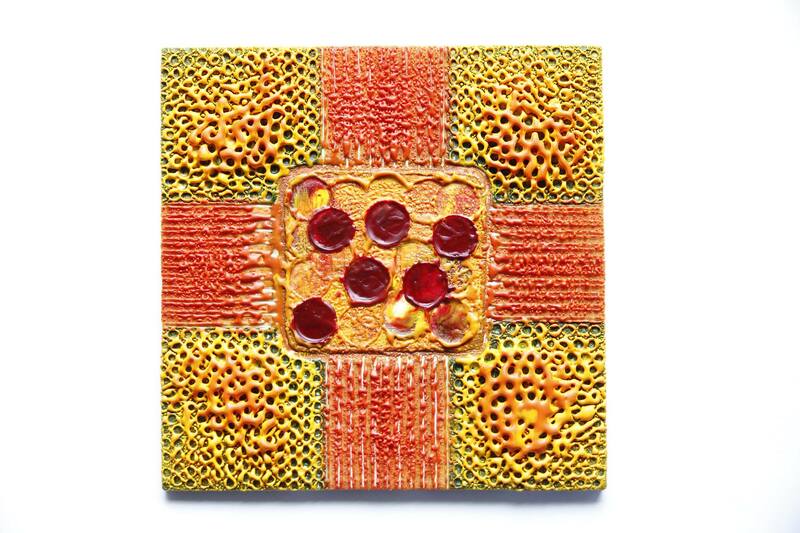 When searching for further inspiration I accidentally came across encaustic painting – I was captured instantly – there was no turning back. The connection with my childhood memories, the relationship with nature, the potential, explorations of something new, the challenges and endless possibilities. 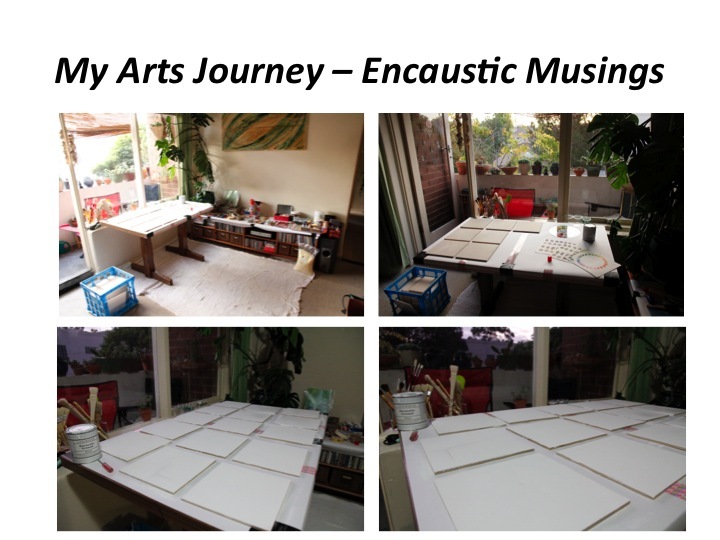 Through ‘Encaustic Musings’ I wished to contemplate a new art form, whilst developing a new repertoire of skills and unleashing my creativity – maybe getting lost and found in the process. I wanted to allow this enigmatic medium to take me on journey of discovery – to explore its exciting and seemingly limitless possibilities, to go with the flow, to the unknown. 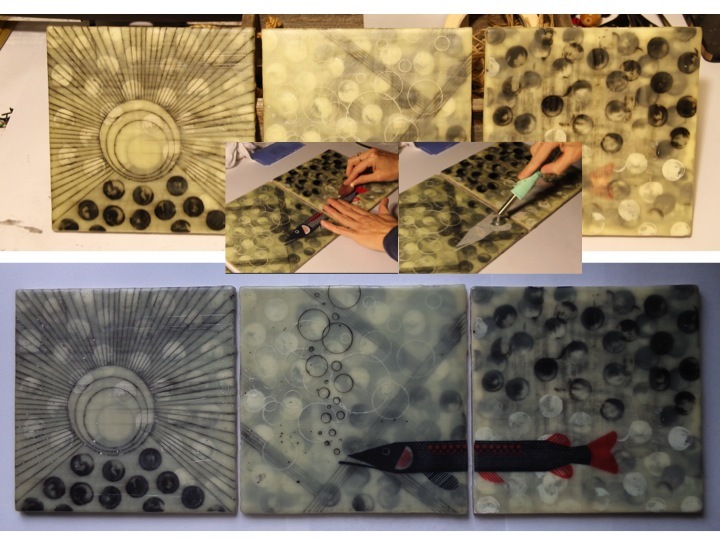 I feel that this project has greatly expanded my life transferable and creative skills, arts knowledge and its application, and contributed to my overall success as an artist, scientist and a future educator. I had no expectations when I embarked on this journey, except maybe to surrender and let it take me wherever it chooses to take me. And I did just that. 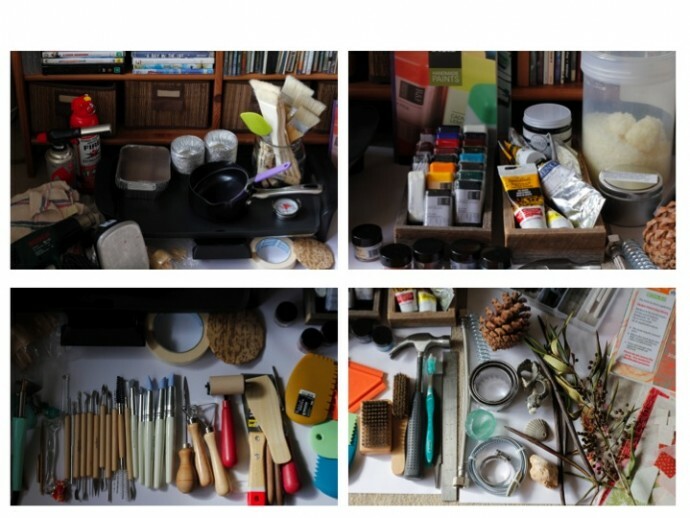 It was a real project based learning experience – from researching, gathering materials to evaluating and planning what I’m going to need, how I’m going to do it and also make it work in terms of space and time. It required careful planning. 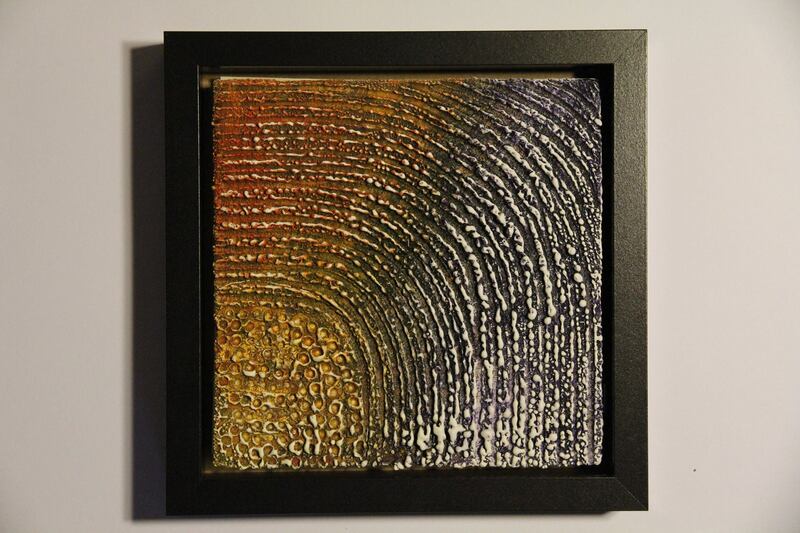 I pretty much followed what I outlined in my project proposal – I experimented with different types of surfaces, with texture and structure, with all the various tools I had at my disposal, with the different pigments and oil sticks, brushes and brush strokes, with other techniques and materials. But as far as the actual artworks are concerned, I left it all in the hands of creativity – experimental, raw, improvised, unplanned. I loved it! 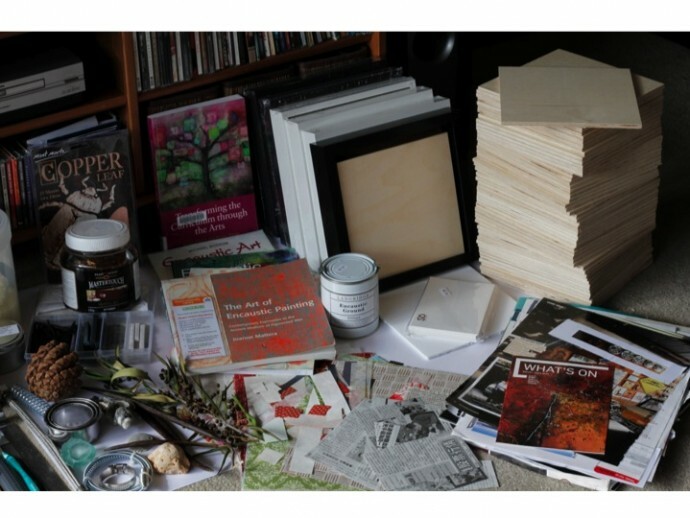 I would have liked to have spent more time in my little studio, I feel I hardly scratched the surface, there is so much more to discover. I feel that just as I was really getting into it, I had to pack it all up because of the inconveniences it was causing around the house and because of life’s commitments. I must say, the fact that I have never even heard of this medium before and here I am trying to make studio quality artworks to sell? – What was I thinking? – Pretty ambitious now that I look back. I had no idea how long it would take to make one of these, or if it would even work. 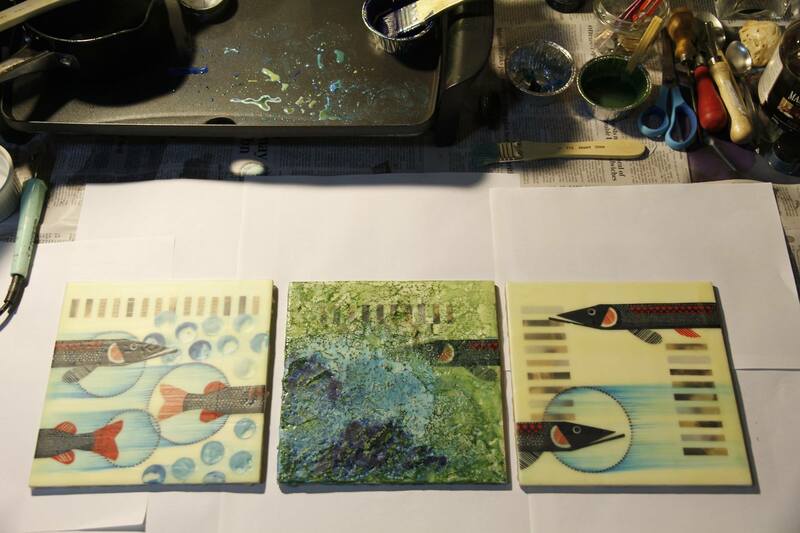 I intended to make 12 panels, I made 13 – I think all worthy of a little wall space, plus three unfinished. That means I succeeded! Yay! Of course they still need to be framed but with a little help from a handy friend that should be a piece of cake. What have I learned? 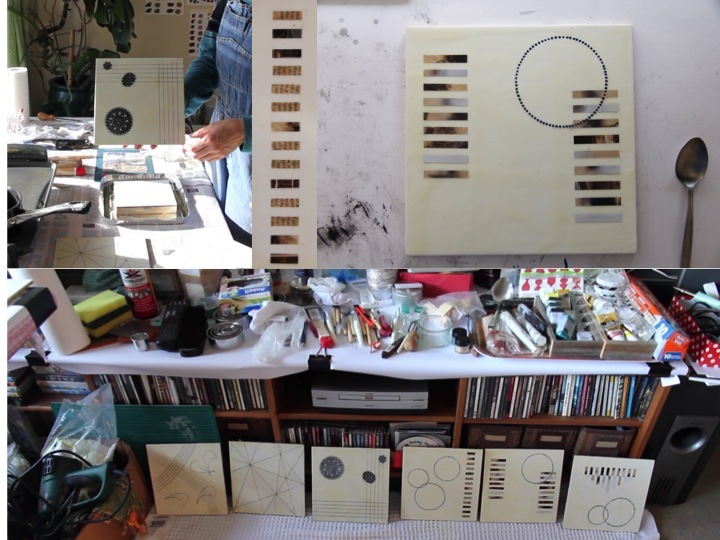 Well, amongst many things, I’ve learned how to research and plan a large art project, how to work with a new medium, with new techniques, tools and materials. I pondered the science of wax, the versatility of wax. I learned that I can sufficiently set up an art studio in my little apartment. That I can go for two weeks without the kitchen table. 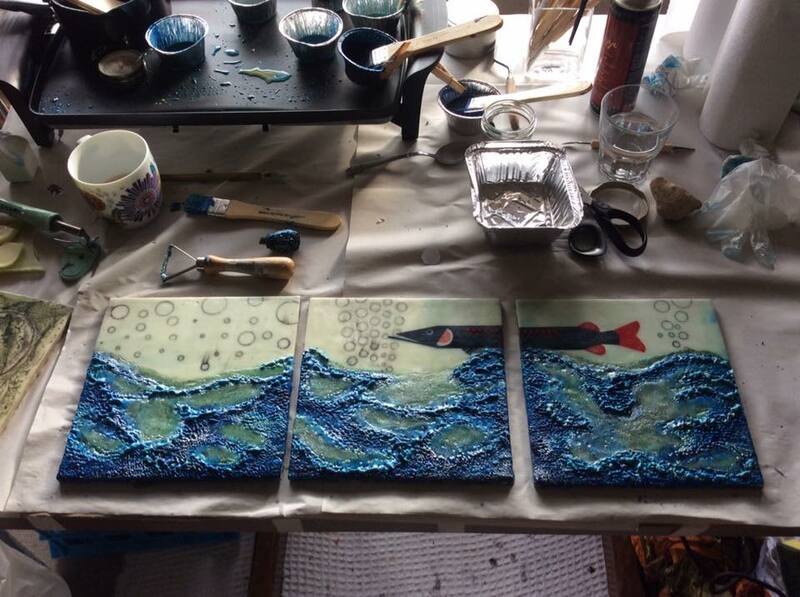 I learned that I want to have my own art studio one day, door to which would be always open and I could get started straight away. 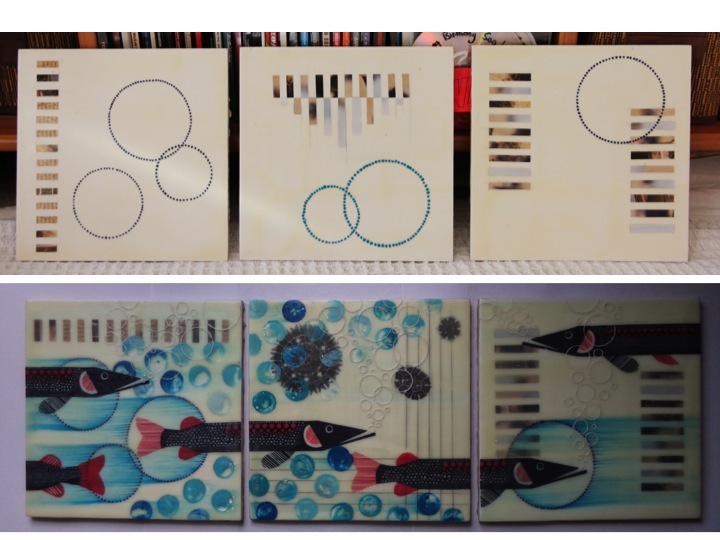 I learned that yes, I am able to emotionally detach from my artworks, and indeed will be very happy to see these go to a good home, while donating the proceed to support my final placement in a remote Indigenous community. A double win! 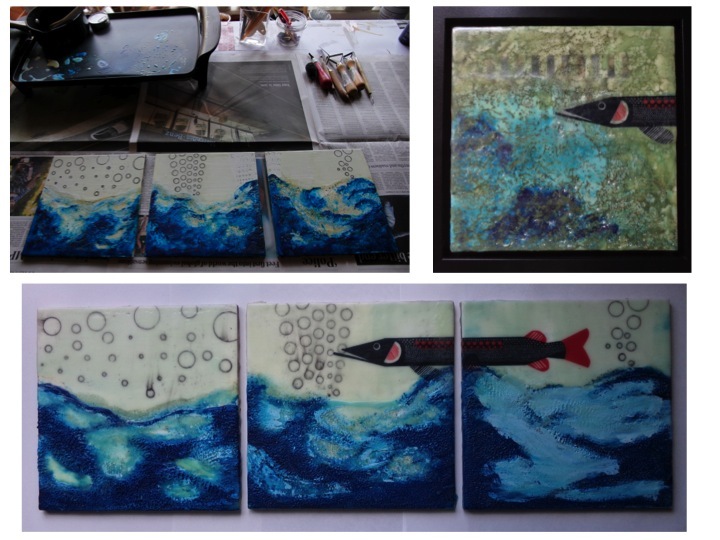 This arts journey has served to teach me many new things, but also reiterated some that I have already known – anything is possible with a little effort and dedication, and creativity is a way that knows no bounds.